Rudies - Caribbean Restaurant - Review & Sunday Dinner UPDATE - What 2? Sundays are known for dinners and with that in mind Rudies has officially launched their new Sunday dinner menu. 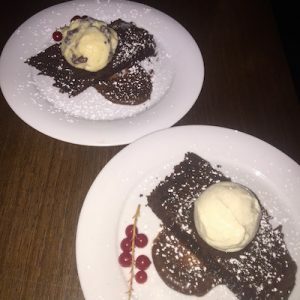 The menu features a range of dishes from full roast, suitable for us meat eaters to vegan lovers. We ordered their roast for two, which felt like dinner for 4 but no complaints from us! The food was served with caribbean classics, like yam, dumpling and pumpkin. We recommend you order rice n peas and some plantain as they went down perfectly together. 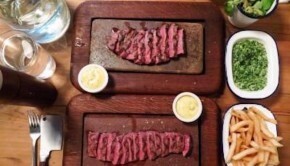 Rudie’s is defo a restaurant that is always getting creative with their menus and this one has to be our current fav. You have to try their Jamaica mi crazy cocktail… you won’t be disappointed! 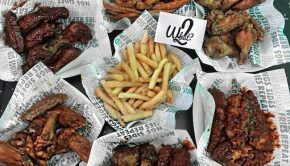 Rudies is a good spot for a casual bite to eat, as you won’t be breaking the bank for this one. Its always nice when you can save some cash but eat something that tickles your taste buds. 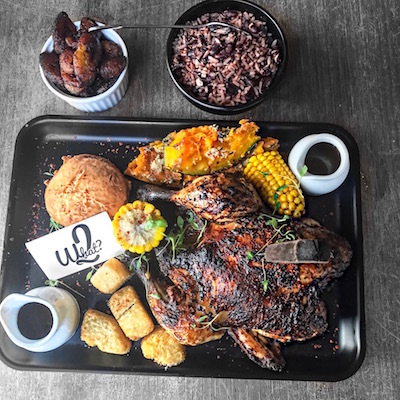 Caribbean restaurants are on the rise and we are so here for them. 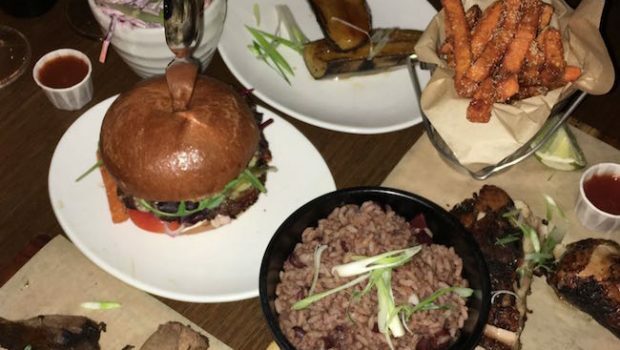 For us, Rudies is a real front-runner in Caribbean dining. 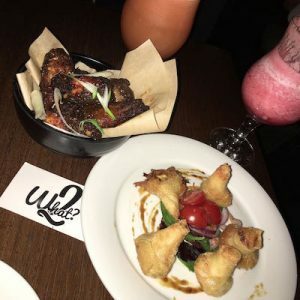 Not only does it do well with the food and the authenticity of the flavours and cooking style, but the atmosphere and service is truly Caribbean at heart; vibrant, friendly, and colourful. The music adds to the chill party vibes. Be prepared to want to dance as they play some tunes. 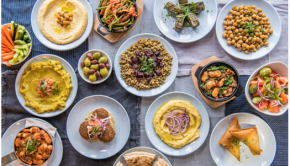 Rudies is still fresh to the London food scene, but we can really see why these guys are becoming so popular. With a unique menu that features only a few caribbean classics, we we’re happy with our menu choices. You have to feast on their lamb, caramelised plantain, ackee and salt fish… okay just try everything. Im sure you’re going to find a dish you’ll love. The food was tasty and disappoint… our only critique is that they could of had a better dessert menu! Hints and Tips: If your new to the caribbean cuisine… this is a great place to start!